Our managed IT services allow you or your business to delegate your IT operations to hands that are specially trained to handle them. 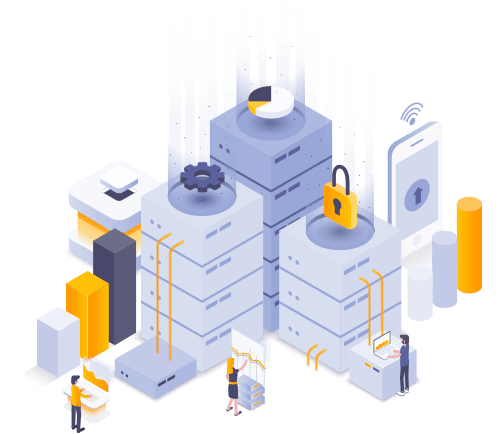 We provide round-the-clock system monitoring, ensuring that your server and network are always secure and operating to their fullest capabilities. With our service, you’ll receive managed backup, antivirus, data security, and cloud services. We work passionately to deliver superb customer service and excellent server and network maintenance. Through our years in the industry, we’ve found that IT management is much more than just detection and reports. With professional IT management, you can greatly reduce the risk of system breaches by building innovative password security. By having the right equipment and knowledgeable aid, you’ll save yourself or your business a large amount of time and money. At Cornerstone Technologies, we strive to provide the best IT management to professional enterprises of all sizes in the state of Michigan. Our highly trained technicians offer comprehensive services to help you through all aspects of support and repair for your home or business server. We are a dedicated team that provides cutting-edge solutions to secure your IT network. Our skilled IT support is precise and proactive in server and network maintenance. The combination of our experience and advanced technology make us a highly reputable and reliable service for all your IT solutions. Contact our team today to learn about our managed IT services or browse our website for more information. Our mission is to change the way people think about IT management services. We provide affordable, upfront pricing and so much more than just management. We provide your business with the added benefits of extra security such as antivirus and data backups. With constant system monitoring in place, you can rest assured that your server and network are always in good hands. You’ll find that most IT management services offer expensive, fluctuating rates. At Cornerstone Technologies, we believe in an honest business transaction that is mutually beneficial. Our service comes at a fixed monthly cost so you know exactly what you’ll be charged every month. We have no hidden fees and place the highest value on excellent customer service. Save money and work with a business that cares. At Cornerstone Technologies, we believe in the importance of buying local. As we are a local business ourselves, we do our best to support other local businesses in the Kalamazoo area. We are proudly serving nearly 200 non-profit groups, including Kalamazoo Gospel Mission, Communities in Schools, and Gryphon Place. Work with us and help support local businesses in Michigan. PROVIDING ESSENTIAL MAINTENANCE TO ALL CUSTOMERS.